In celebration of the highly anticipated Netflix original documentary What, Happened, Miss Simone?, REVIVE Music/RCA Records are proud to release NINA REVISITED: A Tribute to Nina Simone. The 16 track tribute pays homage to the legendary Nina Simone with re-worked renditions of some of her most popular songs by artists such as Ms. Lauryn Hill, Mary J. Blige, Common, Usher, Jazmine Sullivan, Lisa Simone (daughter of Nina Simone), newcomer Grace, Alice Smith, Gregory Porter and Lalah Hathaway. 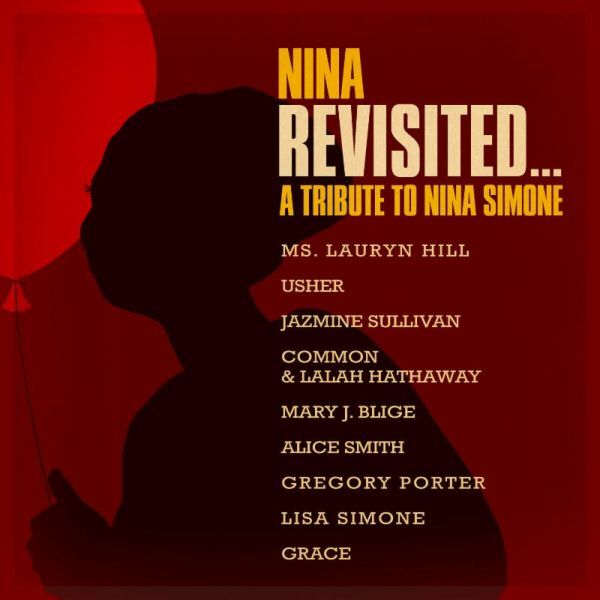 NINA REVISITED: A Tribute to Nina Simone, was produced by Jayson Jackson, Suzette Williams and Peter Edge, Grammy Award winners Robert Glasper, who cites Nina Simone as “one of the most important and influential artist ever,” and Ms. Lauryn Hill. Nina Simone is truly one of the greatest talents in musical history and with NINA REVISITED: A Tribute to Nina Simone, REVIVE Music/RCA Records hope to celebrate the music, career and life of the legendary musician.